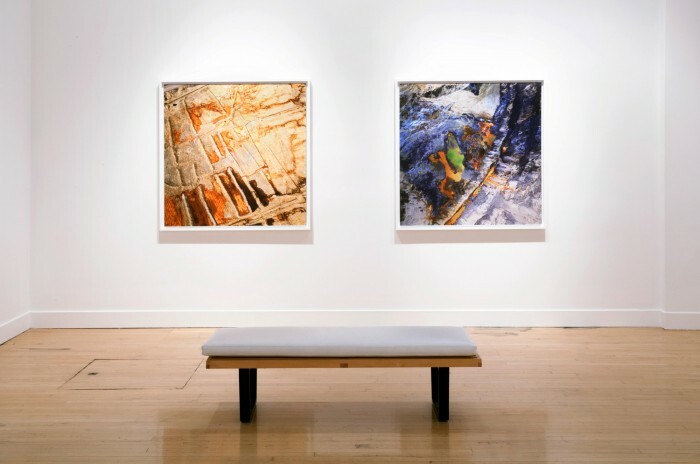 For his fifth exhibition with Haines Gallery, Maisel presents “Mining” – a selection of photographs from The Mining Project and American Mine, series never before seen at the gallery. These works consider the relationship between nature and humanity, and encompass both stark documentary and tragic metaphor. Mining coincides with the release of Maisel’s new monograph by Steidl, Black Maps: American Landscape and the Apocalyptic Sublime, the first in-depth survey of the artist’s aerial projects. 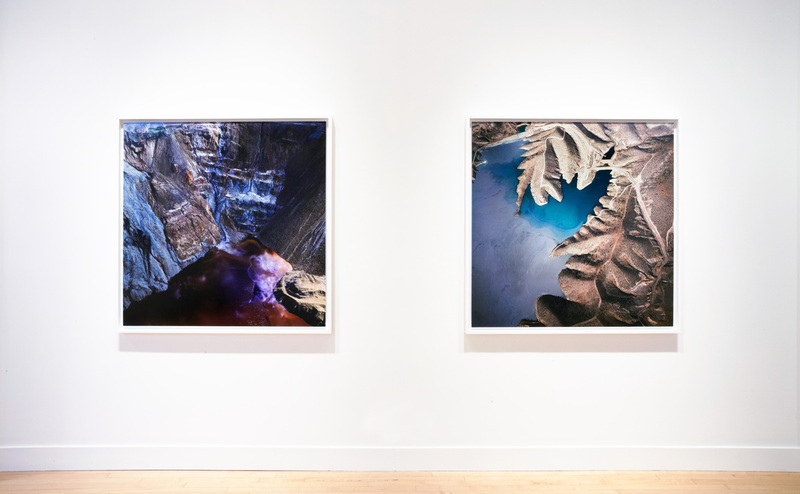 SAN FRANCISCO – David Maisel first began to photograph open pit mines from the air in the mid–1980s, intrigued by the radical transformation of the American landscape by the extraction of natural resources. 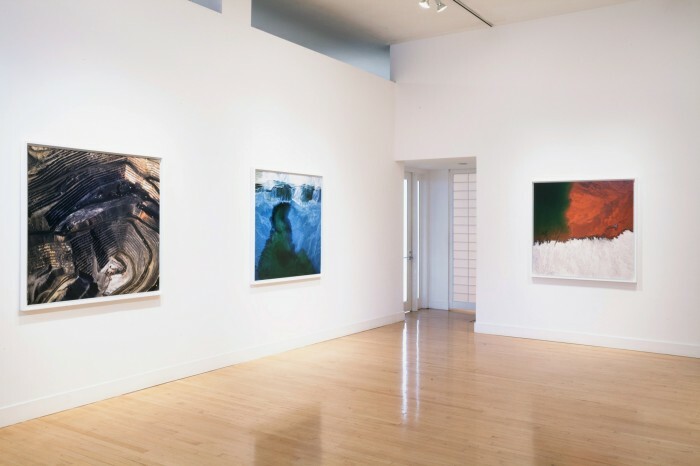 For the past three decades, he has continued to pursue this subject, resulting in a powerful body of work that considers the aesthetics and politics of environmentally impacted sites such as open pit mines, clear-cut forests, rampant urbanization and sprawl, and zones of water reclamation. , essays by Natasha Egan, Geoff Manaugh, Alan Rapp, Kirsten Rian, Joseph Thompson and Kazys Varnelis, and a poem by Mark Strand. 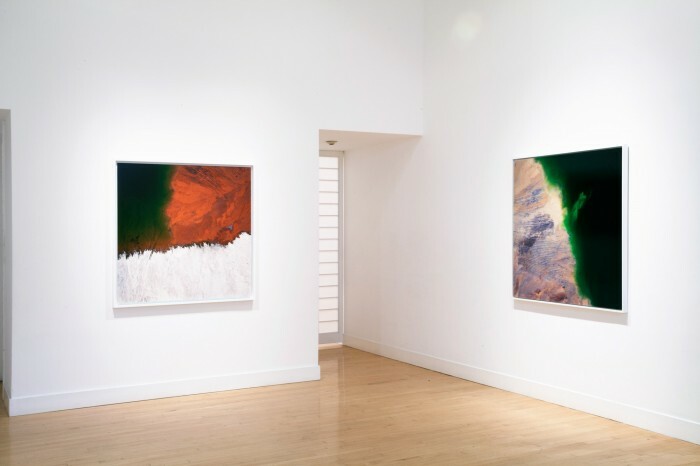 With The Mining Project (1989), Maisel negotiated a deliberate shift from black-and-white images to color, and started to produce large-scale photographs that make greater use of abstraction. Curator Natasha Egan suggests, “[h]is photographs derive their effectiveness through formal choices involving color, scale, perspective, and abstraction, which amplify their seductive nature, and conjure the elusive sublime.” The ambiguity of what is depicted and the apparent toxicity suggested by the saturated colors that pervade these colossal human-made sites leave one with an overall sense of disquiet, torn between attraction and abhorrence. 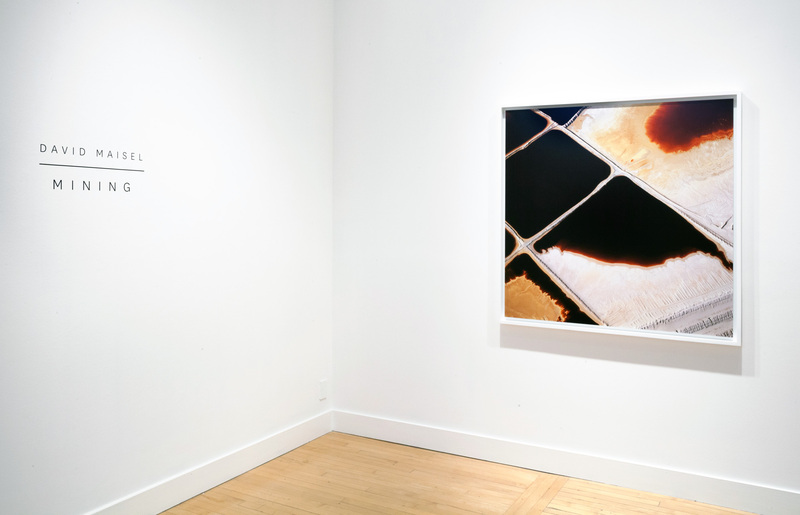 Maisel’s work has been extensively exhibited throughout North America, Europe, and Asia at venues including the International Center of Photography, New York; Somerset House, London; Palais de Tokyo, Paris; Seoul Arts Center, National Gallery of Canada, Ottawa; and Museum of Contemporary Canadian Art, Toronto. His photographs have been collected by institutions such as the Metropolitan Museum of Art; Los Angeles County Museum of Art; Victoria & Albert Museum, London; Brooklyn Museum of Art; National Gallery of Art, Washington D.C.; Yale University Art Gallery; and Museum of Fine Arts, Houston. He is the recipient of a 2011 grant from the Center for Cultural Innovation, a 2008 Artist Residency from the Headlands Center for the Arts, and a 2007 Scholar/Artist Residency from the Getty Research Institute. Maisel has been a Trustee of the Headlands Center for the Arts since 2011. Maisel has received fellowships from the National Endowment for the Arts and the Opsis Foundation. The artist’s previous monographs include The Lake Project, Oblivion, Library of Dust, and History’s Shadow.